What makes a good sprinkler timer. How to use water sprinkler timer. How to install an automatic sprinkler timer? Above were the quick comparison between the different controllers. Now we will discuss the best Smart Sprinkler Controller and some of the products that are available in the market and have been known for their quality. Rachio has always been known for making unconventional devices that make the working easier and coordinated with the latest technology. You can’t have a list about best sprinkler system without the Rachio. This product of theirs makes the watering of the garden easier than ever before. It’s a true automatic sprinkler system. The device can be controlled by Alexa, an Amazon application by using different voice commands that can help in performing different operations. It can also be operated with the help of the official app of the developer which is available on almost all the platforms like windows, android, iOS. It can adapt to the weather and season changes so that the garden is always sufficiently watered. 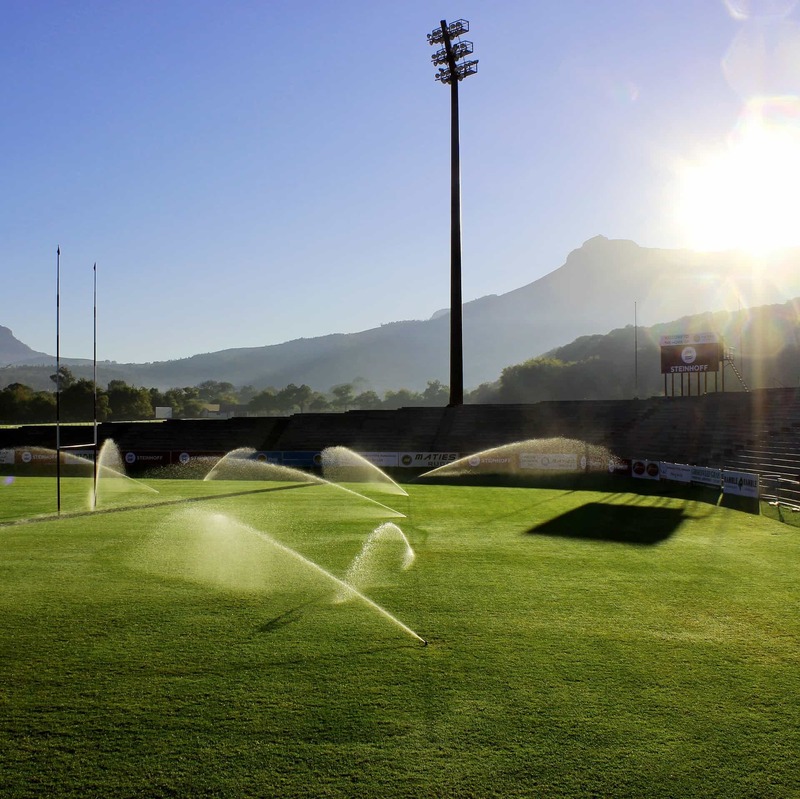 It is also known to reduce the water bill by up to 50% and it’s a solid automatic sprinkler controller. One can also customize their whole schedule by inputting the various details of the soil so that the device can chalk out the best plan for the soil. • Can be controlled by voice with the help of the Amazon Alexa. There are over 100 voice commands that can be given to the device in order to perform various operations by changing settings. • It can be controlled from anywhere with the help of the official application of the developer and manufacturer. The application is available on almost all the major platforms for smartphones and desktop. • It has the capability to adapt to the weather of the place, i.e. when the rain is predicted, it automatically skips the next scheduled operation. It also adapts to the season’s changes, helping in saving water and money both. • The WaterSense technology helps in giving just the required amount of water so that not even a single drop of water is wasted. • One can input the various details of the soil so that the device can process all the information and devise the most suitable plan for your garden. • It can be easily installed in the house under 30 minutes. Only small connections need to be done. • Also, has the option of manually programming the device as well in case there is no internet or wifi or server of the developer is down for maintenance. The perfect blend of the watering of the garden with the technology, this device has been a fan favorite since the day of its release. The fact that it can be accessed and operated so easily with the help of voice commands and the app, it almost seems unreal. And on top of that, it can be set manually as well. This device is more like an expert than a simple timer because it also plans the watering schedule according to the type of soil and other factors. It doesn’t allow even a single drop of water to waste by expertly controlling everything. • Can be controlled with the help of voice commands. • Can be operated with the support of the application. • Changes the scheduled operation on its own according to the change in weather and season. • Can also be manually operated. • Saves a lot of water and money. • The capability of chalking out the perfect plan for the watering of the garden by the various properties of the soil and sunshine it gets. • Difficult to operate when the internet, wifi or server is down. Yes! – Check price here. A quality product from a renowned brand, this device is the best solution for all the gardening problems related to water. It has a sturdy look and the controls are labeled extremely well and are easy to operate. The Display screen is wide and clear enough to easily see the content. The device comes with varying numbers of outlets and one can choose according to their need and convenience. The construction of the device has been done in such a way that it becomes a heavy-duty weatherproof device. The device also has the option of delaying the sprinkling of water in case of rain, helping in saving the water as well. It provides the user with a lot of flexibility in term intervals that it gives, ranging from 6 hours to once in a week. The maximum run time of the device is 240 minutes or 4 hours, which is sufficient to water an average sized garden. It also comes with the option of manually overriding the controls in case of any deviation from the schedule or if one decides to manually water the plants on a pleasant day for a change. • Easy to access and operate controls. Helps in setting the device according to one’s garden requirement. • The display of the device is quite clear and wide as well, which helps in clearly seeing the given input and current status of the device. • Comes with the option of delaying the scheduled operation in case there is a rain so that there is no wastage of water and electricity is saved as well. • Has a run time ranging from 1-240 minutes so that all of the gardens are watered sufficiently and efficiently. • Gives the user the choice of having an interval, ranging from 6 hours a day to once in a week. • Comes with the option of manually overriding the scheduled operations in case of an emergency. • It is extremely easy to use and install. One doesn’t require any kind of tools or equipment to install it, just directly connect it to the water valve and you are done. • The device retains the program that has been given as an input to the device while changing the battery so that user doesn’t have to set everything all over again from the scratch. • The whole device is water and weatherproof and thus can be kept outside without even worrying about it getting damaged. The device is extremely popular among all the classes of the economy because of its effectiveness and cost. It can be very easily operated and installed without the need of any tools. The rating of the device has also been extremely high. It can be kept outside in the garden as this heavy-duty equipment is water and weatherproof. • Extremely easy to operate. • Waterproof and weatherproof, so it is entirely feasible to keep the device out in the open without worrying about it getting damaged. • Can be easily installed, no need for tools or equipment. • Delay in scheduled operation in case of rain so that water is conserved. • The device is hefty, and it gets difficult to transport it from one place to another. • There have been reported cases of internal leaking. • The battery compartment cover is tightly fixed and requires strong hands to open, making it susceptible to getting damaged. The ultimate device in terms of ease and features, this product from Orbit sets the bar at such standards that it is not going be eclipsed by anyone anytime soon. The device comes in two modes, 6 stations and 12 stations and one can choose according to their own preference. The whole time is controlled by a software that can be easily controlled with the help of a B-have app that is available for Android and iOS both as well as on the normal web. It also has the option of being controlled by voice with the help Amazon’s Alexa. The whole device is made in the USA so the quality is of top grade as well. The product is weatherproof and can be kept outside without any tension. A locking cabinet is provided as well to safely keep the device in it out of reach any harm. • It has a modern and sleek design that resonates technology. • Easy to operate and access control panel, each of them being labeled in clear fonts so that the user can easily understand it. • The display of the device is also very large in size so that all the given input can be easily verified and the current status of the device is noted as well. • Can be controlled with the help of the official app of B-have, which is available on Android and iOS as well as on the web as well. • The device can also be controlled with voice commands with the help of Amazon’s Alexa. • The user interface is extremely easy to understand. • One can very easily and effectively program the device for watering or give the required information so that the software can chalk out the perfect plan itself. • The smart watering feature of the device allows it to modify the program, according to the type of soil, slope, live weather feeds and other features so that no water is a wasted at all. • The device is easy to install and can be hard wired as well if one wishes to. • It is manufactured in the USA, so all the material used are of top quality. The device is weatherproof as well, so there is no harm in keeping it outside. • It comes with a protective cabinet as well to safely keep the device inside It out of anyone’s harm. This is one of that device that can perform everything efficiently without causing any trouble. Because of its so many features and a sleek design, the invention has been ruling the hearts of the people since its release and continue to do so. One can do a lot of things with just one touch of their fingertip. • Can be managed with the help of the official application available on a platform like Android and iOS as well as on the regular web. Can be programmed manually as well. • Have large buttons good labeled to quickly give the input manually effortlessly. • The display of the device is large enough to instantly view the current setting of the device as well as to review the given input. • The device is completely made in the USA. • The software easily modifies the given settings so that it is best suited to the soil condition, slops, day to day weather changes as well as the season changes. • The device requires some work for installation as compared to other devices in the market. Gone are the days when we used to water our lawn or garden by holding down a pipe connected to the water source and has to move around the whole lawn. That method was time-consuming, and a lot of water was wasted in the process as well. 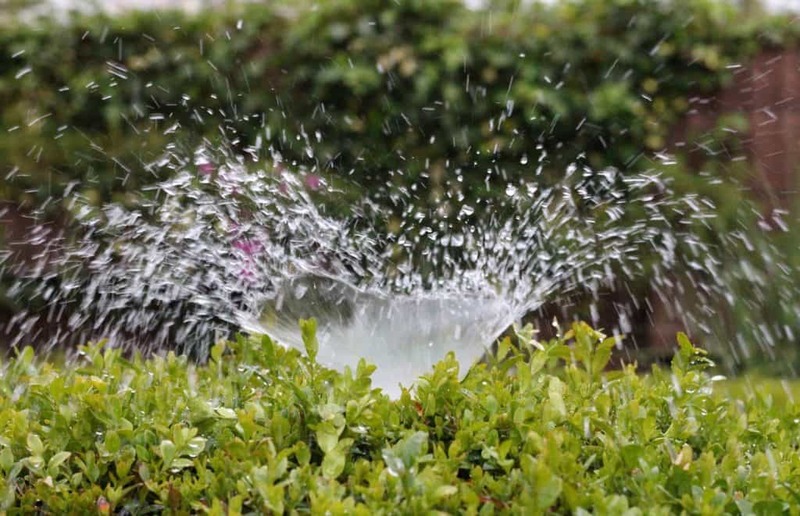 For some years, people have started using a water sprinkler timer so that the effort and the amount power, both are reduced, and the garden is watered more efficiently. 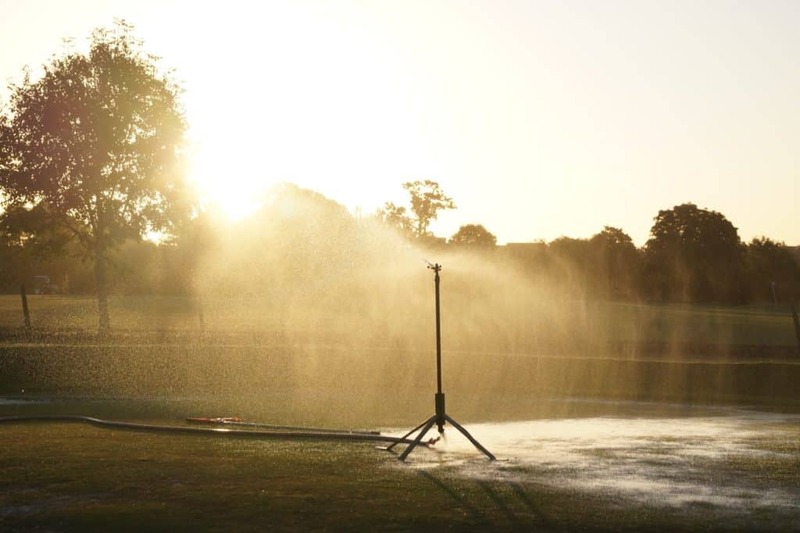 The water sprinkler controls the amount of water that is being sprinkled onto the lawn or garden by connecting it to the water supply. Location: – the sprinkler should be such that It can be used inside and outside the home, both. A plus is being able to use it as underground sprinkler as well. The indoor sprinkler timer is usually not weather resistant and is not suitable to be operated outside, whereas, on the other hand, the outside sprinkler can be used inside as well with certain adjustments. Zones: – it is essential to know how many zones does the timer can control. The timer should be able to operate at least in the number of zones the sprinkler is divided into. Desired no. of programs: – this helps in designing different programs for various purposes. A sprinkler should have at least 2 programs for variation, though the more significant number of applications, the better. The timers are used to control the operation of an automatic irrigation system which makes the sprinkler heads turn on and a stream of water flows through. According to the settings, the system switches on and off, which helps in the watering of the lawn or garden without human intervention from time to time. Sprinkler system watering with timer. There is nothing hard regarding the usage of the sprinkler timer. One just needs to analyze their garden, which part requires what type of watering and how frequently and they can set the timer accordingly. If the garden has a number of zones, then one should opt for a timer that supports a large number of zones and programs. The owner should also remember that no setting is permanent and needs to be changed according to the time of the year. One can even fix the duration they want the sprinkler to operate in a particular zone and on what days as well. These sprinkler timers have made gardening and life easy. With the help of a sprinkler timer that is appropriately programmed, one can water the different areas of their garden efficiently. Each part of the garden may require a different level of water being given to them for a period needed at specific intervals of time. This will help in their proper growth, and it also won’t be a problem to do the same thing each day every day. Broadly speaking, people use two types of sprinkler timer on their lawn: Digital and mechanical. Both of them have different methods of operation which are discussed in details below. • Set the program switch to that position that gives you the option of changing or modifying the settings. • According to the different parts of the lawn, the appropriate zone should be selected. • Now the user should turn the largest master deal to the setting that shows Current and set the date and time by using the appropriate controls given. • After setting the date and the time, one should decide the time period for which the valves will stay open. To do this, the user should set the dial to the setting that says Runtime and then set the time accordingly. • Now comes the part where one has to set the days on which the sprinkler need to operate and water the lawn. To do this, one needs to set the master dial to the setting showing Schedule and then select the days with the help of the controls given. • Repeat the same operation for other zones as well. • One should start by setting the time they want the sprinkler to begin watering. This can be done by having one of the holes on the yellow dial being inserted by a brass pin corresponding to the time you want the sprinkler to start. • Additional pins can be inserted in the holes consecutively for getting 12 minutes of watering time repeatedly, making sure no hole is skipped. • A hole should be only left unattended if one wants to shift to a different zone. An empty hole will tell the system to change zone. • Set up the remaining of the zones in the same way. • After this, one should move the yellow dial in a clockwise fashion until the silver indicator indicates the current time. • Now set the daily watering schedule by moving the small black wheel below and right of the yellow dial. This wheel, known as skipper wheel, should be rotated counterclockwise. • Pins corresponding to each day should be pressed so that no watering will be done on that day. • Move the selector switch to the Auto option so that the sprinkler can operate on its own according to the given settings. Installation of sprinkler timer in the house is pretty easy. We will discuss the whole procedure of installation of the sprinkler in the details below. They can also be installed underground and inground. • Decide a suitable location where it will give easier access and a power supply source is nearby. • Unpack all the belongings of the component and drill holes on the back of the cabinet to provide extra stability. • Remove the timer from the cabinet and detach the ribbon connector. • If the timer needs to be hard wired, please make sure that the electricity supply is cut off. • Decide the height at which the cabinet needs to be mounted, usually at eye level for better visibility and control. • Mark the location of holes that need to be drilled. • Drill the required holes and then mount the cabinet on the hole and tighten it with the help of screws. • Fix the timer and the ribbon connector at their respective places. For wiring, follow the instruction given in the manual provided. Always buy more sprinkler or irrigation wires than the zone you are planning to make. Usually, the white wire is the standard wire and needs to be attached to terminal C.
Take a wire for each zone and run it from the solenoid to the controller. Make sure that all the connections are waterproof. Each cable will regulate the area they are connected to, and the zones should be delegated accordingly. There are some additional features as well that one can attach to their sprinkler in order to make it more effective, efficient and easy to use. • Remote control: – one can attach a remote-control receiver and transmitter so that the timer can be accessed from a distance as well. One can easily switch between the zones as well in case there occurs a discrepancy. • Computer control: – the whole timer is getting controlled with the help of your desktop or laptop. • Weather Devices: – there is no point in watering the plants when it is already raining, attach weather devices to the system so that it can detect the rain and terminate the program for that day. This way, the electricity and water both are saved. So that was all the top rated sprinkler timers I reviewed, there are more brands (rain birds, Gideon) but didn’t wan’t to make the list to long. If you have anything to add please comment below and share this article. Copyright © 2019 Bazomo bazomo.com is a participant in the Amazon Services LLC Associates Program, an affiliate advertising program designed to provide a means for website owners to earn advertising fees by advertising and linking to amazon(.com, .co.uk, .ca etc) and any other website that may be affiliated with Amazon Service LLC Associates Program.